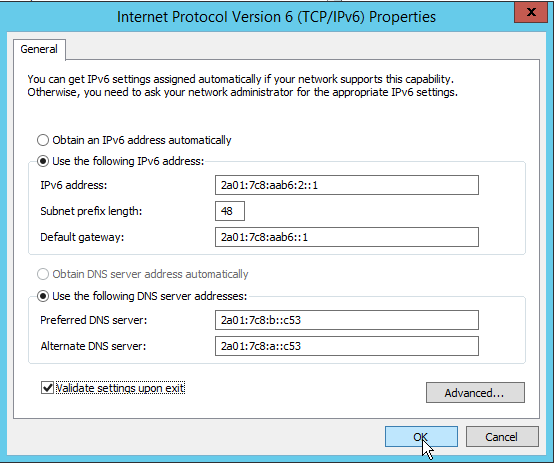 In this article, we explain how to 1) add a static IPv4 or IPv6 address and 2) how to add more than one IPv4 or IPv6 address to your Windows VPS. Click here for a manual on adding an IPv4 or IPv6 address to a Linux VPS. Only static configurations allow for more than one IP address to be added. 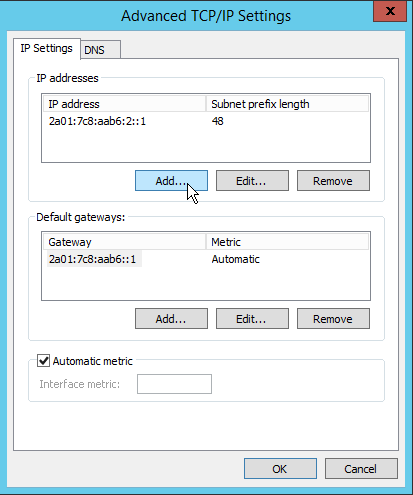 Steps 1 - 7 in the guides below show you how to staticly configure IP addresses. 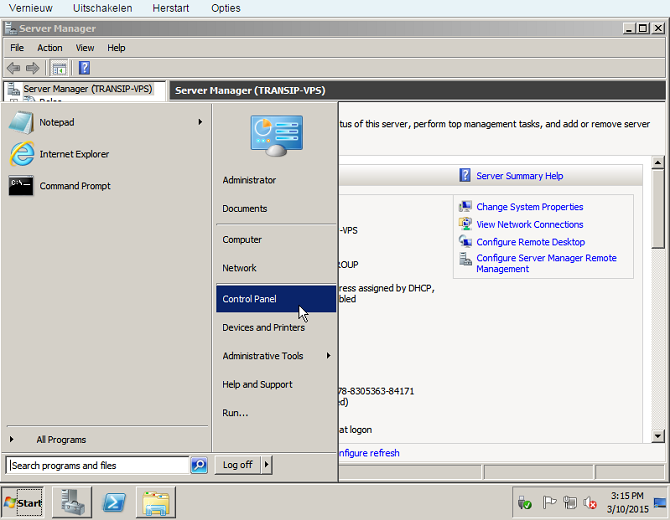 Step 8 and further shows how to add an additional IP address on top of that. This manual is about public IP addresses. In this manual, you will find more information about setting up internal addresses (for your private network). In case a misconfiguration makes your VPS unreachable, it is best to create a snapshot first. Ordering an extra IPv4 address in the control panel. 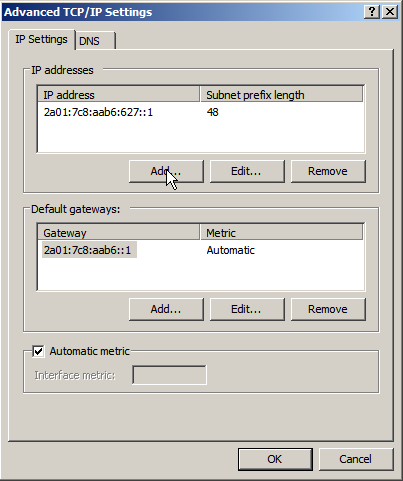 Creating an extra IPv6 address in the control panel. A VPS includes 1 IPv4 address by default, but you can expand this to a maximum of 10 IPv4 addresses via the control panel. A maximum limit of 20 IPv4 addresses applies to the VPSs of the PRO series. 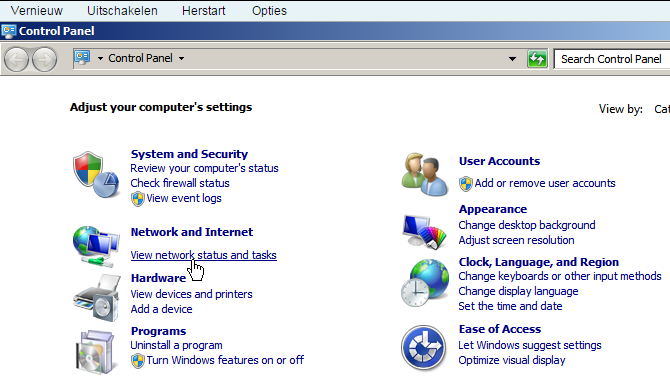 In the top right, click on 'Manage', followed by 'Network information'. 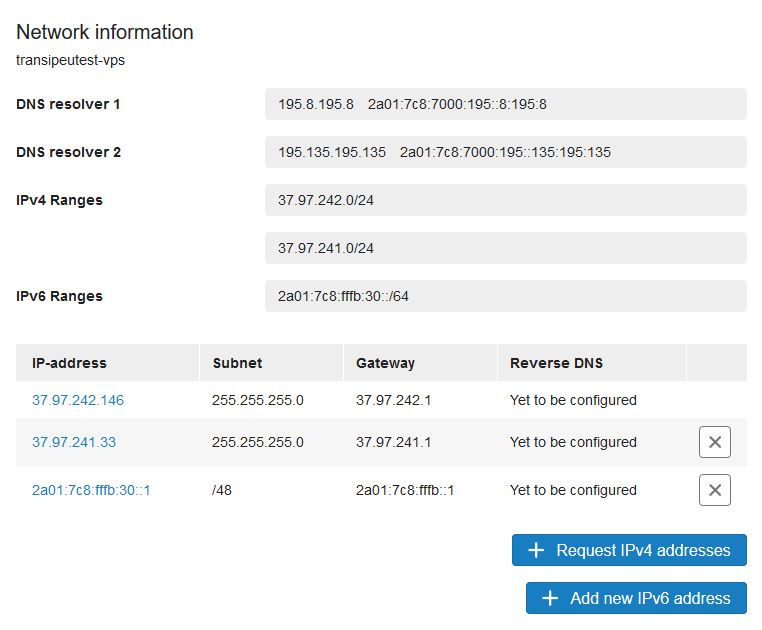 Your shown an overview of your IP addresses. Click 'Request IPv4 addressess' to order additional IP addresses. Each VPS has a /64 IPv6 range at its disposal by default, where IP addresses can be added as desired. A /64 IPv6 range contains a total of 18,446,744,073,709,551,616 IP addresses, so the likeliness that you will not have enough is quite small! Enter the desired IPv6 address and click 'Add IPv6 address'. Will you use this IP address to send e-mails from your VPS? 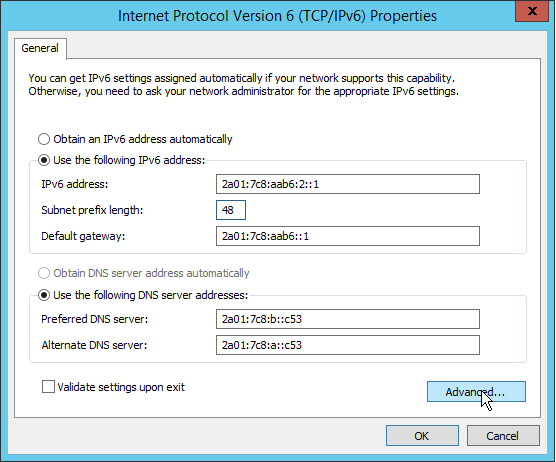 Then also set your reverse DNS before adding the IPv6 address. 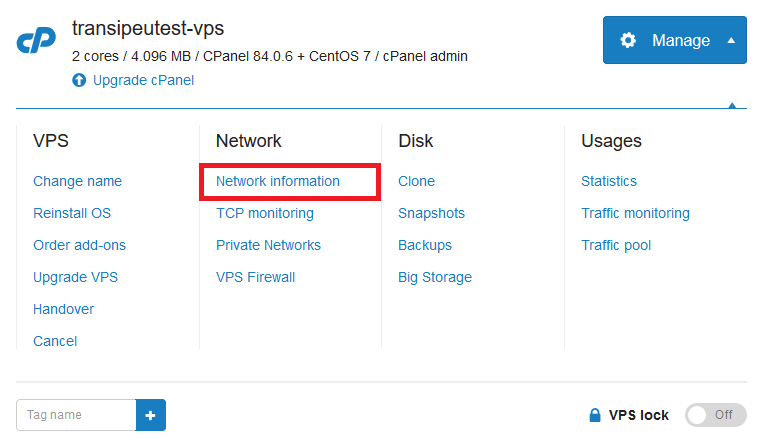 Connect with the VPS using the VPS console or RDP and log in. 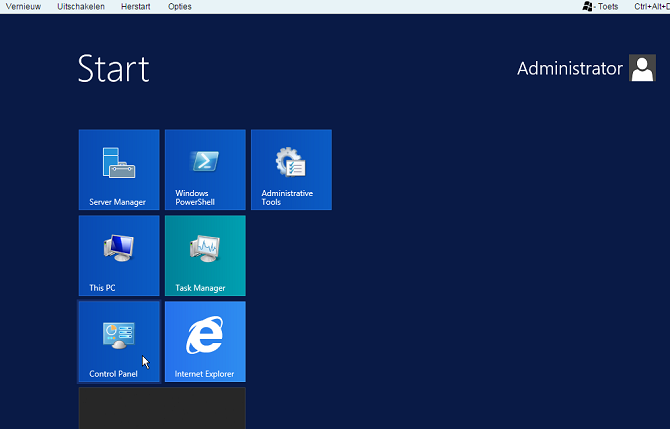 Once logged in, click start to go to the Control Panel. 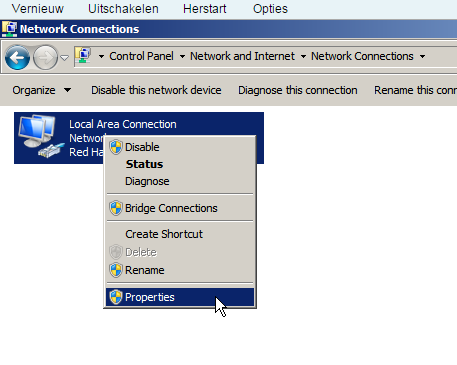 Then click 'View network status and tasks' under 'Network and Internet'. Next click 'Change adapter settings'. 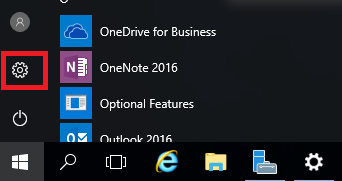 Then right click on 'Local Area Connection' and then click on 'Properties' in the pop-up window. In the overview that appears click 'Internet Protocol Version 4' and then click 'Properties' at the bottom right. By default, DHCP is used, unless you have already modified it manually. DHCP only works for the first IPv4 address however. If it is not yet the case, set the option to 'Use the following IP address' and fill in the details of your IP address which you can find in the control panel under 'Manage' > 'Network Information'. You'll need to manually configure the resolvers, which might already be done if, for example, you're using Google's resolvers (8.8.8.8). 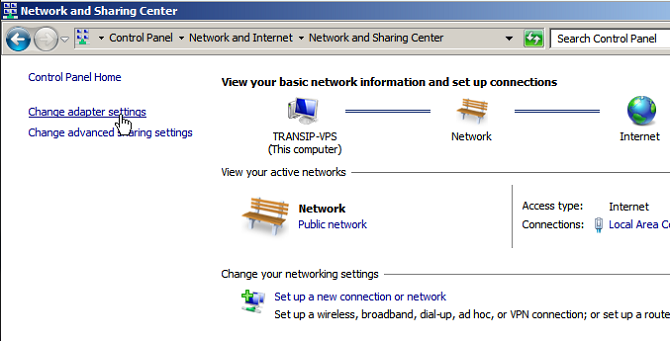 The TransIP resolvers can also be found in the control panel with the rest of the network information. At this point you can already check 'Validate settings upon exit'. 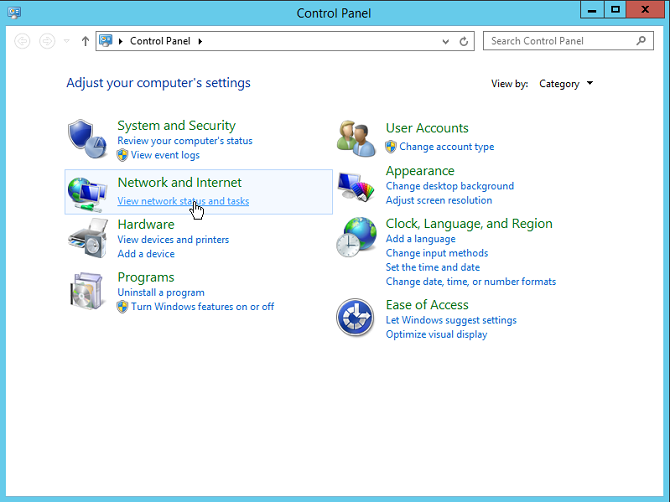 With this option selected, Windows Server will test your configuration when you save the settings. Are you only configuring a single static IP-address? Click 'Ok' twice to finish your configuration. 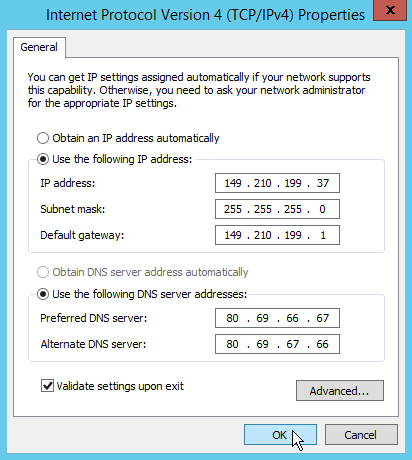 Are you configuring additional IP addresses? Click 'Advanced' and proceed to the next step. In the ‘Advanced TCP/IP Settings’ screen click 'Add ...' to add a new IP. 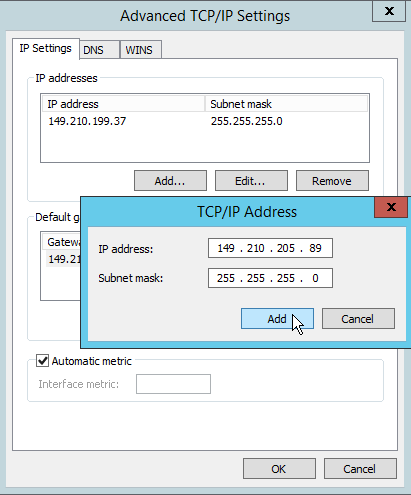 Be sure to set the subnet mask to 255.255.255.0 to prevent that you cannot reach IPs in the same network. Click 'Add' to add the IP. The extra IP address is now listed in the overview of IP addresses. If you want to add more IPs, repeat the above step. 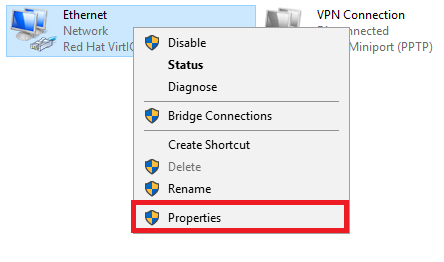 Click 'Ok' on the 'Internet Protocol Version 4 Properties' again and do not forget to turn on the ‘Validate settings upon exit’ option. 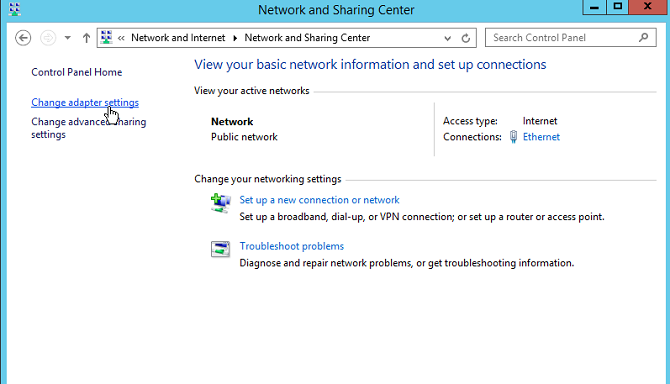 Testing the IP address is more difficult because ping (icmp) is disabled by default in the Windows Firewall. Optionally you can find how to enable this on this website. If you have enabled this, you can test this IP address by running a ping from another computer / IP, but you can also test this via our website, for example. 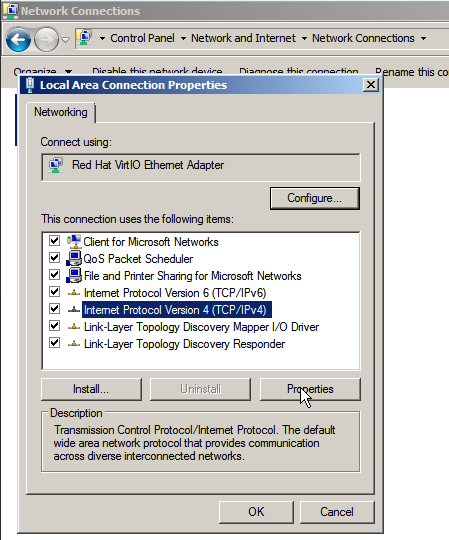 In the overview that appears click 'Internet Protocol Version 6' and then click on 'Properties' at the bottom right. By default, the first IPv6 address should have been added here, unless you have removed it manually. 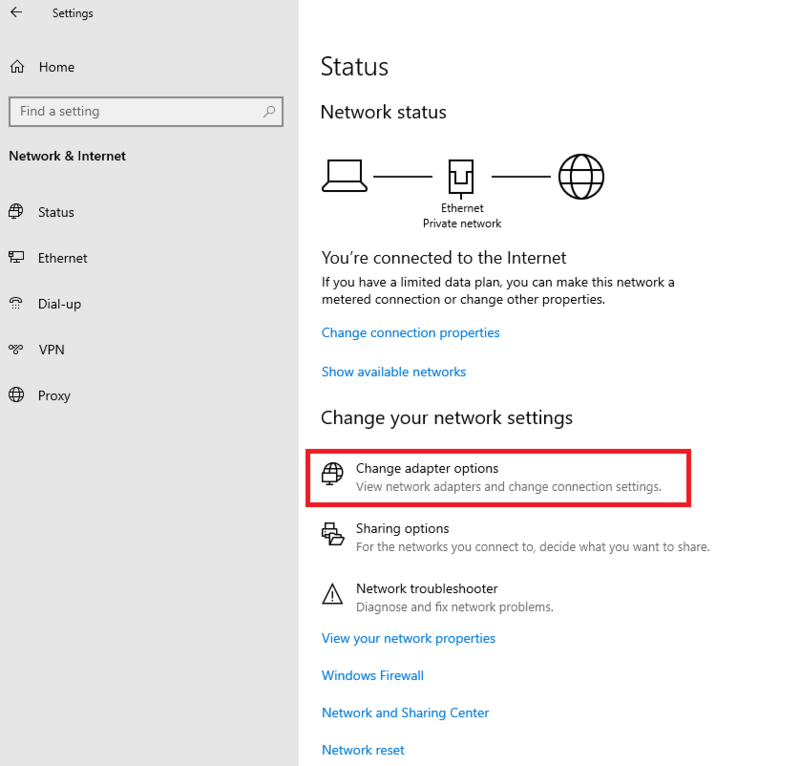 In the 'Advanced TCP / IP Settings' screen click 'Add ...' to add a new IP. Add the extra IPv6 address here. 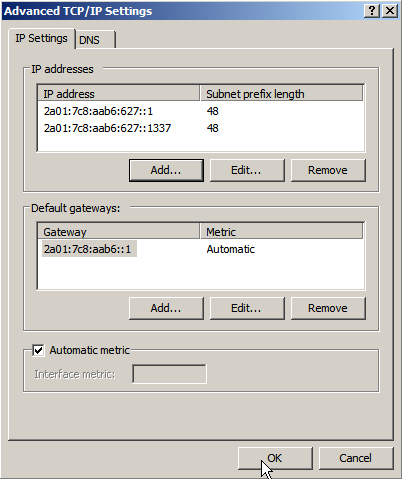 Make sure you set subnet prefix length to 48 to prevent that you cannot reach IPs in the same network. Now click ‘Ok’ to save the changes. Now click 'Ok' again on the 'Internet Protocol Version 6 Properties' screen and do not forget to turn on the ‘Validate settings upon exit’ option. 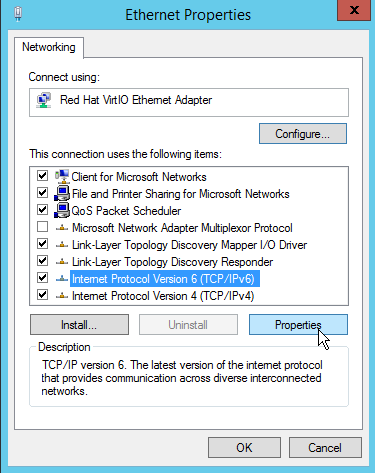 Windows will now test the configuration and the IP is added to the network interfaces. Then click on 'View network status and tasks' under 'Network and Internet'. 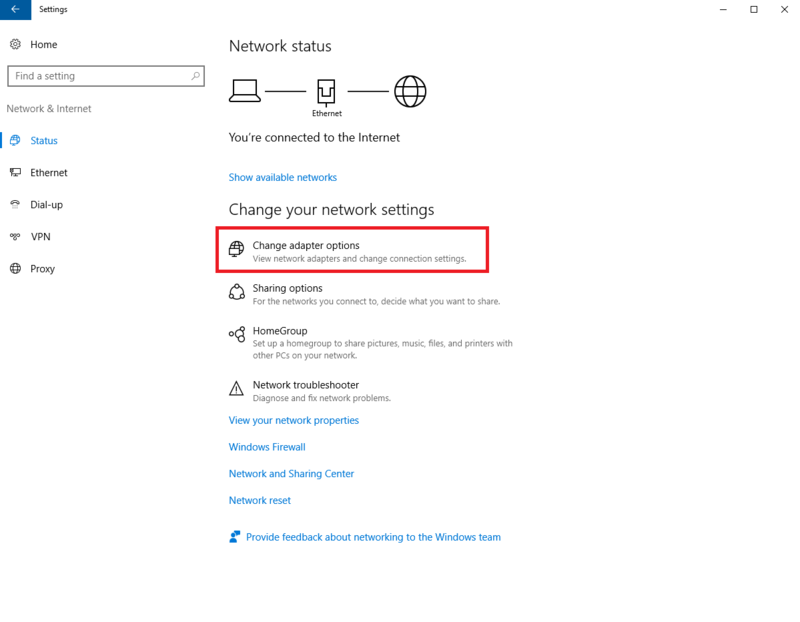 Next click on 'Change adapter settings'. Then right click 'Ethernet' and click 'Properties' in the pop-up window. In the ‘Advanced TCP/IP Settings’ screen click 'Add ...' to add a new IP. 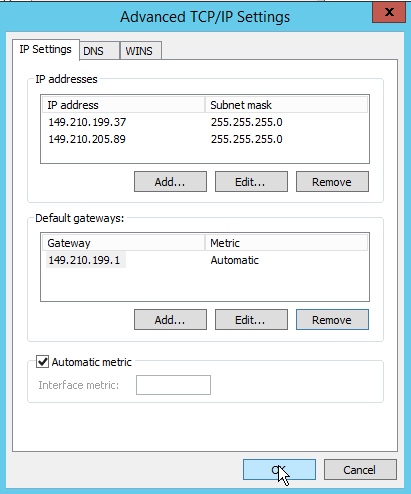 Make sure you put the subnet mask on 255.255.255.0 to prevent that you cannot reach IPs in the same network. If you have enabled this, you can test this IP address by running a ping test from another computer / IP. 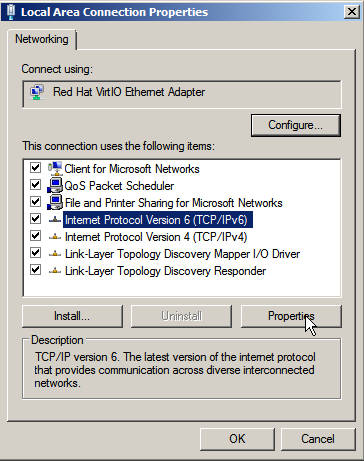 In the overview that appears click 'Internet Protocol Version 6' and click 'Properties' in the bottom right. Next, click on 'Change adapter options'. 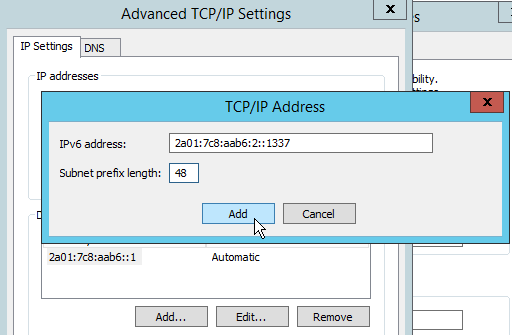 In the 'Advanced TCP/IP Settings' screen click 'Add ...' to add a new IP. 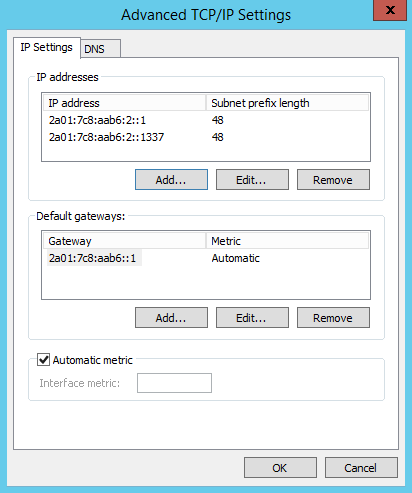 Make sure you put the subnet mask on 255.255.255.0 to prevent that you cannot reach IPs in the same network. Click 'Ok' in the 'Internet Protocol Version 4 Properties' screen again and do not forget to turn on the ‘Validate settings upon exit’ option. By default, DHCP is used, unless you have already modified it manually.